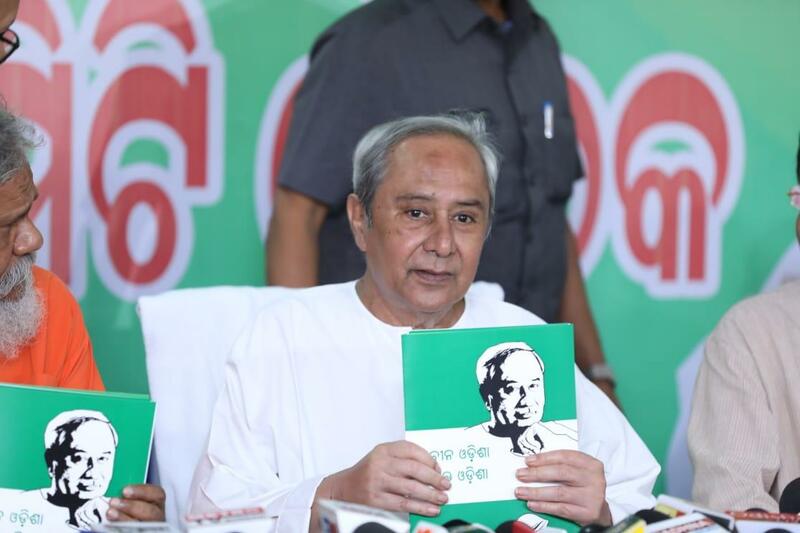 Bhubaneswar: With just two days before the 1st phase Poll, the ruling Biju Janata Dal (BJD) today released the party’s election manifesto with special focus on Farmers, Youth and Women. Party President and Chief Minister Naveen Pattnaik along with other senior leader of the party released the Menifasto in the afternoon. Both the national parties BJP and Congress have already released their election manifestos earlier. “This time no national party will get majority on its own. Odisha will have a role in formation of the Central Government. BJD will support a Government that supports the legitimate rights of Odisha. This will be our only agenda with the Central Government,” the manifesto said. In its manifesto BJD has promised continuation of KALIA scheme which promised Rs 10,000 per annum for farmers and Rs 12,000 for landless labourers. The manifesto also states that 25 lakh farmers will get the Rs 10,000 assistance each for both phases on the same day of the government formation. In order to empower women, the BJD promised to give Rs 5,000 crore government works to women self help groups (SHG). The manifesto also promised free education for girls from KG to PG and health assurance for women under BSKY. The party has promised 75 per cent reservation in jobs for qualified local youths in upcoming industries, interest-free education loans and skill training for 15 lakh youth under the ambitious ‘Skilled in Odisha’. It said 15 lakh youth will be skilled in the next 5 years and one time start up allowance at the rate of Rs 10 lakh will be provided to 10 thousand eligible youth. Besides, the party has also promised Special Development Councils in eight districts and three sub-divisions of the state under Joint Upliftment of Habitations and Regions (JUHAR). Alleging that successive Central governments have always neglected the rights of Odisha, the BJD said they will support a central government that supports the legitimate rights of Odisha.